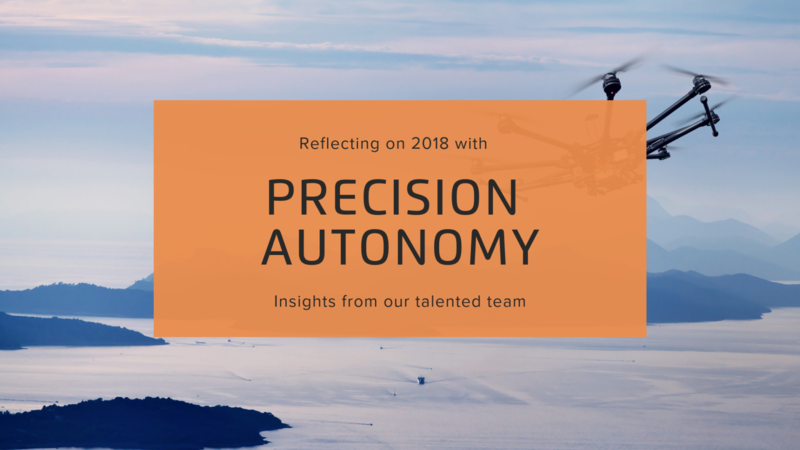 The time has come to reflect on this year at Precision Autonomy and our hopes for the future. Our mission is to accelerate the world’s safe adoption of unmanned and autonomous services. We are invested in promoting safe and ethical practices in the drone and autonomy industry. We believe the first step toward this transition is understanding exactly the kinds of risks these technologies present, so we can learn how best to manage them. 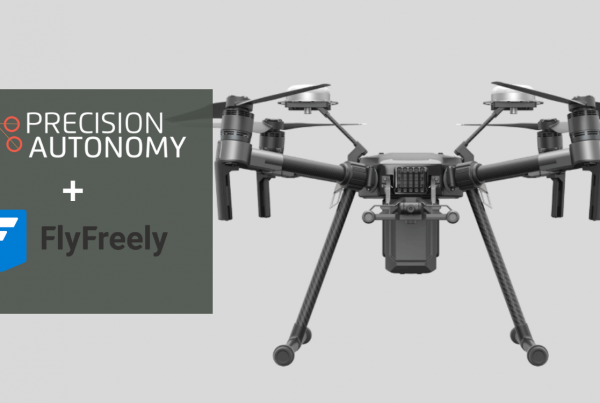 At Precision Autonomy, we analyze these risks to inform those who are responsible for bringing newer technologies like drones into the mainstream: regulators, insurers, financiers, and of course, professionals in the industry that chart the course of progress. Our Risk Management Framework, the core behind the design of our usage-based drone insurance, has evolved rapidly this year. We have honed our data analysis and increased the metrics by which we measure flight performance, to make our insights more reflective of real-time risk profiles. That is to say, there are many risks involved in drone flight and we strive to deliver the most nuanced analysis of these risks possible. Our team, a diverse group of talented individuals, has worked tirelessly to deliver an innovative, useful product to our customers. With a huge milestone release of pay.per.fly last month, we migrated our application to more stable infrastructure and upgraded to leading security authentication to better protect user data as we continue to grow. We believe our app is more streamlined and intuitive than ever, making it easier for our customers to insure their assets and protect their business. 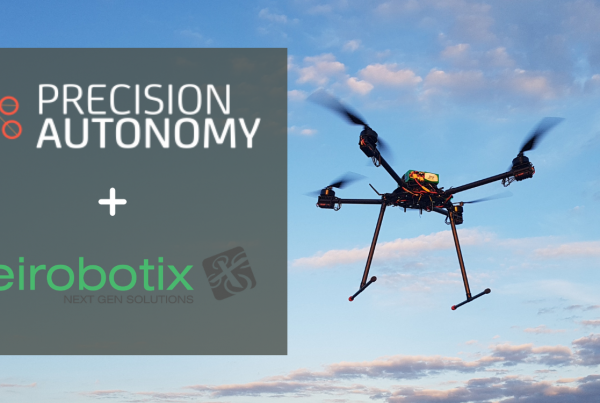 We are so proud to have received overwhelmingly positive feedback on pay.per.fly, as operators continue to choose Precision Autonomy for their pay as you go drone insurance. With our app built out and deployed, our pay-as-you-fly insurance, underwritten by QBE Australia, is now available to all Australian ReOC holders. We are also poised for overseas expansion in the new year (more on that in the coming months!). This year we were fortunate enough to collaborate with some incredible partners, such as leading manufacturers Bask Aerospace and Eirobotix, and global companies like Macquarie Bank to offer financing options to our customers. We are also excited to be working with other innovative start ups invested in Drones for Good causes, like Astral AR, creating drones to assist in search and rescue missions and other crisis use cases. 2018 was not without its challenges, and it’s been an massive year for our talented team. But challenge begets growth, and we believe the obstacles we’ve overcome have made us a stronger, more mature company. The biggest change from 2018 was definitely in our business maturity. We saw a small team with thin margins introduce a product into the market and grow it into a sophisticated, competitive application. We significantly upgraded our flight management software twice, improving our stability and security to enterprise quality. 2018 was a year of shoring up our infrastructure to drive massive scale expansion in the new year. 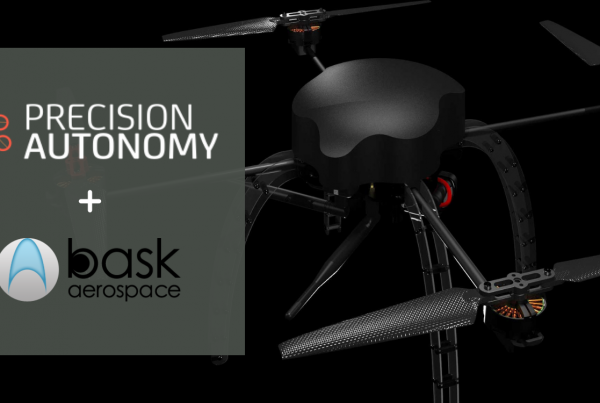 2019 sees a variety of opportunities for Precision Autonomy, and our team is working hard to bring these opportunities to fruition. We’re looking forward to getting the ratings engine up and running, as the first building block for a potential UTM solution. We’re anticipating the release of the Android App & our first third-party collaboration. We will expand globally with launches in the US, Asia & Europe. We’ll also take control of our own product via an MGA structure & build out our pay how you go dynamic pricing capabilities, leveraging AI & Cognitive computing. 2019 is a chance to work with our customers and partners to realize the next revolution for our company. Here at Precision Autonomy we’re always striving for the next step in innovation, the next growth market to explore, and that higher level of performance from our team. We have seen some incredible milestones this year, and we have high hopes for a bright future ahead for us, and our community.